Professor Phil Bird and Professor Michael Cowley. Three groups of researchers from the Monash Biomedicine Discovery Institute (BDI) have been successful in securing funding from the Victorian Medical Research Acceleration Fund (VMRAF). Announced on 22 August, the 2018 round will help fund 30 innovative research projects, fast-tracking them from research to reality. Professor Michael Cowley, Head of the Department of Physiology, is Principal Chief Investigator on one of the two successful Monash BDI research projects, titled Novel therapeutic for Type 1 Diabetes. According to the research team Professor Cowley leads, the health and economic burden of diabetes in Victoria is substantial, and projected to increase dramatically in the coming years. The incidence of Type 1 Diabetes (T1D) is rising in parallel with that of Type 2 Diabetes. “Medication in the form of insulin is critical in the management of T1D, but it remains imperfect, and individuals face difficult choices in the day-to-day control of their diabetes,” Professor Cowley said. “Individuals must choose either less glucose control, leading to risks associated with high blood glucose, or choose tight control, leading to rick of hypoglycaemia – which can be catastrophic,” he said. Professor Cowley and his collaborators, including Monash BDI’s Professor Mark Sleeman, have highlighted the role of a pituitary-derived hormone in simulating glucose uptake via skeletal muscle, which describes important mechanisms in the control of glucose homeostasis. This pathway could be a potential therapeutic target for T1D. Funding from the VMRAF will enable the team to undertake clinical proof-of-concept studies in humans, fast-tracking this translational research through to partnership with industry. Professor Phil Bird, from the Infection and Immunity Program, is Principal Chief Investigator on the project Preventing acquired hearing loss. Professor Bird will lead a team of researchers from Monash University and the University of Melbourne to develop new treatments to reduce the damaging effects of noise trauma and cochlear surgery, and ameliorate hearing loss in ageing populations. “A factor has been identified that is present in the cochlea and contributes to hair cell death following trauma,” Professor Bird said. “It is anticipated that a drug that blocks its function will preserve hearing,” he said. 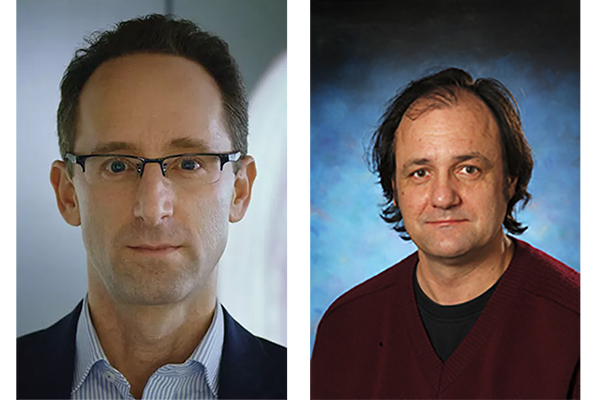 Monash BDI’s Dr Philip Heraud and Professor Anton Peleg are Chief Investigators on a project led by Faculty of Science’s Associate Professor Bayden Wood, New approaches to detect drug resistant superbugs. Resistance to antimicrobial drugs is a key issue in medicine with the rise of so-called 'superbugs'. “Our aim is to use novel approaches to detect antimicrobial resistant markers and explore the potential for rapid detection,” said Associate Professor Wood. “This will lead to the improved use of existing antimicrobials through timely selection of effective treatments, reducing mortality and morbidity,” he said. “The expected outcomes of this project will lead to a better understanding of the molecular basis of drug resistant 'superbugs', a critical step in health disease and prevention strategies,” said Professor Peleg, also from the Monash Central Clinical School. The researchers intend to define molecular markers of Antimicrobial Resistant (AMR) Phenotypes that relate to genetic markers, and explore the potential for rapid, point-of-care detection for antimicrobial resistance. “Our advanced ability to test for resistant bacterial strains in patients will assist in the prevention, detection and containment of AMR,” Dr Philip Heraud said. “It will enable the epidemiological tracking of disease and improved monitoring of the emergence of health threats,” he said. These Monash BDI projects make up two of the four successful Monash University projects in this round of funding. 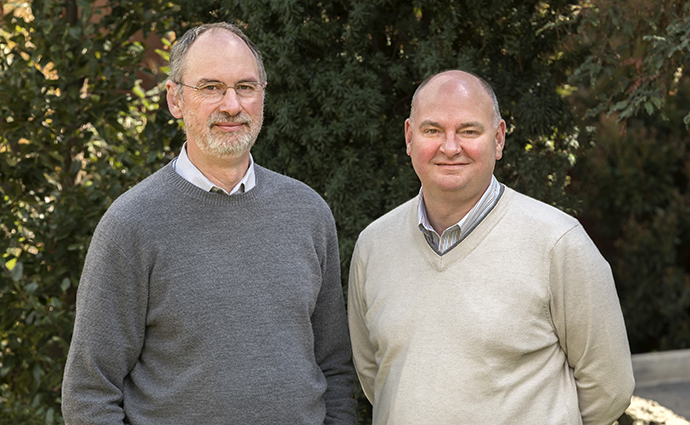 Professor Cowley and Professor Bird’s projects will receive $100,000, and the project led by Associate Professor Wood will receive $92,500 in funding to support their research. Submission for round three of the Victorian Medical Research Acceleration Fund open later this month, closing at the end of October. The summary of the project New approaches to detect drug resistant superbugs has been drawn from a media release prepared by the Faculty of Science. Read the full release here. Professor Anton Peleg and Dr Phil Heraud. The Victorian Medical Research Acceleration Fund aims to support scientists in the early stages of health and medical research to translate their work into health and economic outcomes. It supports early stage innovations including discovery research, clinical research and health practice, or an idea or innovation to attract funding or investment by industry. A full list of the successful innovation research projects can be found here.